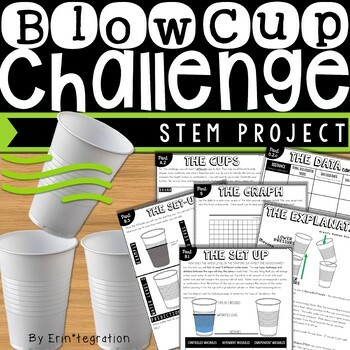 The Blow Cup Challenge is now a STEM Challenge with this engaging science project inspired by the popular YouTube Blow Cup Challenge where students try to blow one cup into another cup. 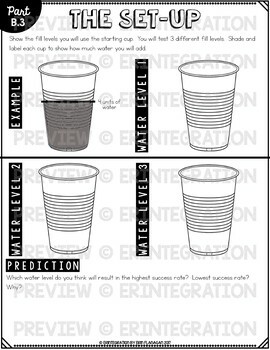 This self-paced, multi-part Blow Cup STEM challenge is print-and-go. Each activity sheet guides students through the project. This activity is iPad® mobile digital device optional - students can do the entire challenge without technology if you do not have access. 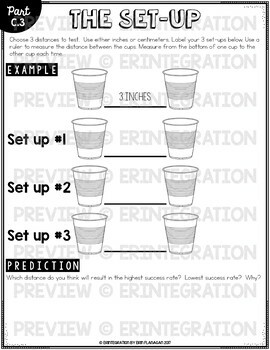 Students will determine the best type of cup, the water level to fill it to, and the distance to set between cups in order to have the best chance of landing the cups. Students will learn about controls, independent and dependent variables as they complete each part and adjust their set-up! Students will need at 4 different type of cups - suggestions for cups is provided as is a clickable QR code that scans to a demonstration. ★ 1 poster that explains the science behind the challenge. ★ 1 cover page for challenge booklet with a clickable QR code that links to a SafeShare video of the Blow Cup Challenge demo. 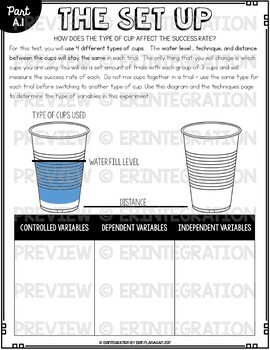 ★ 1 page vocabulary poster includes the terms variable, controlled variable, independent variable, dependent variable, and trials. ★ Detailed teacher note page. Since my products all utilize free web and app resources, there may be rare times that the technology does not work as planned, which may be out of my control. Please be sure to message me in the Q&A section so I can assist you before leaving feedback. I use all of the apps & sites that I base my packets on frequently and will update products as the apps themselves update.